Gateway CX2724 memory specification, configuration, and compatible memory options available. Gateway CX2724 Laptop Memory Questions. What type of memory does the Gateway CX2724 Laptop take? The Gateway CX2724 Laptop takes the PC2-4200 DDR2 SDRAM SODIMMs. Supports Dual Channel DDR2. memory type, and comes installed with 1.0 GB = 512 MB (removable) + 512 MB (removable) memory. How much memory does the Gateway CX2724 Laptop take? You can upgrade your Gateway CX2724 Laptop to up to a maximum memory capacity of 2.0 GB Memory. How many total memory slots to install memory? The Laptop has 2 sockets to install memory, already with 1.0 GB = 512 MB (removable) + 512 MB (removable) standard memory installed. For best CX2724 Laptop performance use the maximum amount of 2.0 GB, fill all the slots with the max allowed memory per slot for your Laptop. What is the warranty on these memory? What if the memory is not compatible? We give a guarantee that these memory will be compatible on your CX2724 Laptop. If you have any issues, we provide you with a life-time replacement warranty. We have a 14 days return policy, and you can return the memory if you are not satisfied. Do you have these memory in stock? What shipping options do you provide? All memory listed here are in stock. We ship your memory the same day we receive your order. We ship via FedEx and USPS. We have fast and cheap shipping options available. Receive this memory by tomorrow, choose guaranteed FedEx one-day delivery option (place your order before 3PM PST). Check all the shipping options and rates we provide. 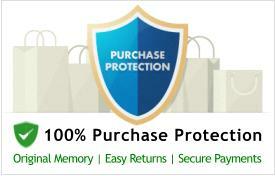 Why choose MemoryStock for your memory? We have been shipping memory RAM since 1999. When it comes to Laptop memory, quality and compatibility are important. Generic memory suppliers do not ensure memory compatibility. When you place an order with us, it goes through a 3-step process 1) Memory Compatibility Check 2) Memory Quality Check 3) Quality Shipment Packaging. 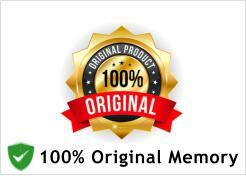 We make sure the memory you receive is top quality and 100% compatible with your Laptop. Our expert after sales team provides you with support for installation and troubleshooting anytime you require it. Our customers can't be wrong. Check CX2724 Laptop compatible memory. How to upgrade, install or replace memory on CX2724 Laptop? Installing memory on a Laptop is quick and easy. Please check this Gateway Laptop Memory Installation Video, this is a generic memory installation procedure for Gateway Laptop. For more help on adding extra memory on CX2724 contact our live support. Click here to talk to us now!. PC2-4200 DDR2 SDRAM SODIMMs. Supports Dual Channel DDR2. Lifetime Warranty. Guaranteed Compatible with Gateway CX2724 Laptop. 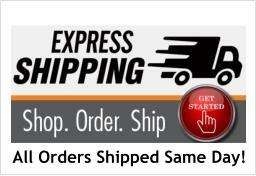 Click here to view all shipping options and rates.